Forming a new Nation? Not bad but try Raising Girls. Last week, I asked the faithful followers and loyal readers of this online publication to help me with a task. 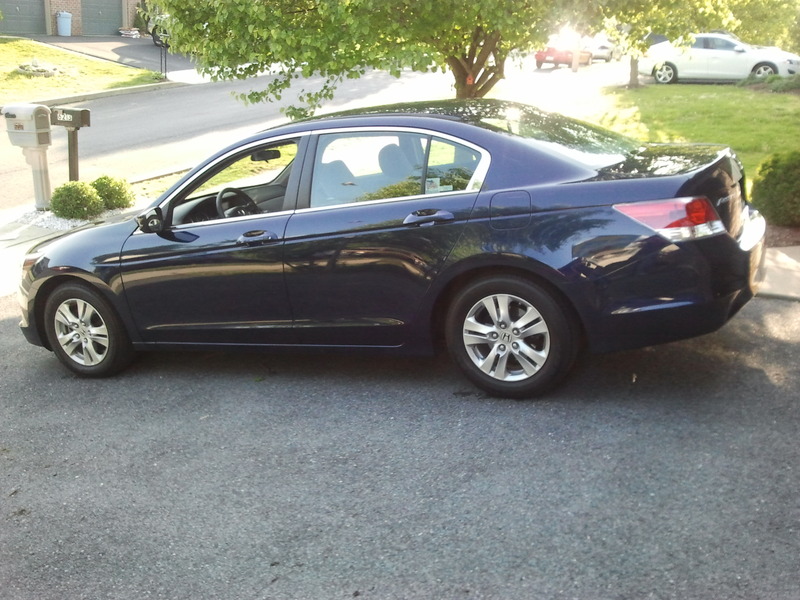 I had recently purchased a car, a 2009 Honda Accord. No name? It might as well be my TV…wait, even Brock has a name. Nevermind. I came to you folks because I couldn’t decide on anything worth repeating let alone keeping for the next 60 payments on this thing. And let me just say…you responded in kind. So let me first thank all of you for helping out. They were all great suggestions. But as I said, I was going to let my wife and kids pick the winner. I didn’t want me knowing who submitted the name to influence my pick in any way. Tonight, my family rose to the occasion (if our own government worked even half as efficient as a 6 year old, a 9 year old, and their mom, this country would be running like a well oiled, pink colored, machine). I listed and read off the names (anonymously), they listened to each with the same intent and furrowed brows they typically save for TV, and after 3 rounds of cuts, they had made their decision. So without further ado, let me introduce you ‘BRUISER’. Abby is a wife and mom of 2 little boys, has a rocking website that is about her life as a mom by day and freelance writer by night. Thanks again Abby. And now, thanks to Abby’s contribution to my car, she is has the choice between a lifetime pass for a ride to the grocery store anytime she’s in the area or she can take over the payments for me. I’m sort of excited to see which one she picks. I guess I should go introduce myself to Bruiser. We’re going to be best buds for a long time or until I get the title. Thanks to everyone who submitted a name. I really do appreciate it! There is something about putting a name to an item that can transform it into something bigger than it really is. Naming things helps to take ownership. It lets us feel invested into whatever it was we named. If something has a name, its less likely we give it up, get rid of it, or forget it (Which may explain why I still own ‘T’. A tee shirt I’ve had for the better part of 10 years). Probably no inanimate object in the history of mankind has been named more often than cars (although I would be willing to bet there was more than a few chariots in ancient Rome that had names). Some of these cars have become celebrities and they have their names to thank for that. Would anyone besides hippies and Phish fans remember a 1963 VW Beetle? You probably would if it was named Herbie. Bo and Luke Duke had one of the greatest cars ever but a nameless car from Hazzard County can be replaced unless it’s the General Lee. Then you get Crazy Cooter to fix it. Do I even have to explain KITT? The point is, people feel more connected when there is a name attached and guys name their cars all the time. It may have to do with specific anatomical insecurities, it may just be a true sign of affection towards an inanimate object (leave it to us to love a piece of metal enough to name it), or it could be engrained in our DNA to do such things? Whatever the reasons, I have not excluded myself from naming my cars. I’ve had the Goblin (a green Jetta), Snow Cat (a white Golf), the Batmobile (a black Jetta), Black Beauty (a Chevy Blazer) and Bullet (a silver Jetta wagon) to name a few. It is something I have always done. Something I am going to continue to do right now but I want your help. 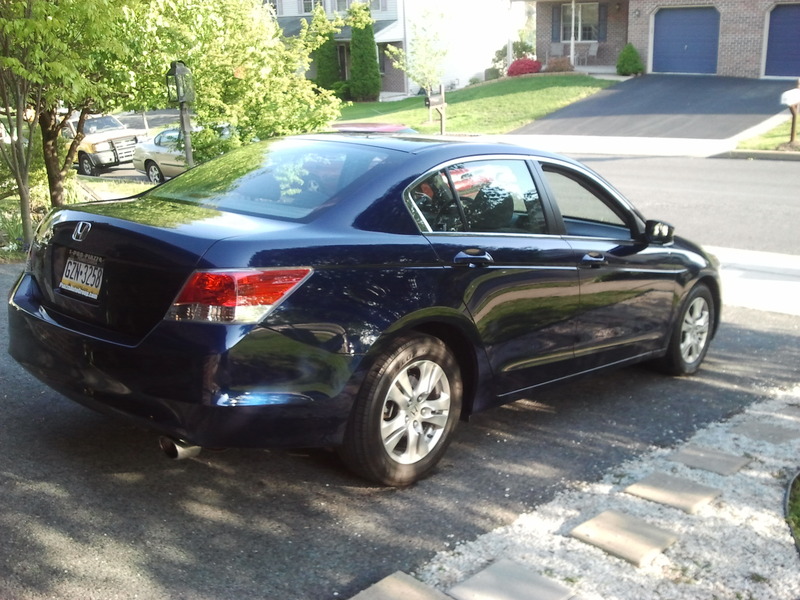 I recently bought a dark blue 2009 Honda Accord. I like my car but I want to love my car (especially because I’m going to be paying for it for the next 60 months) so I need a name. Which is why I am having a contest! Name Founding a Father’s Car Contest! The rules are fairly simple. All are welcome to enter. In the comment section, send me a name. Any name. It can be a female’s name. It can be a superhero name. It can be an animal name. It can be a play on words dealing with the car. Be as creative as you like. Also, if you’ve named or name your car, let me know what the name is. I’m interested. No vulgarity. Nothing crude or derogatory. I’ll be deleting those immediately. Let’s try to remember I’m trying to name my car so I can love it like a living thing…so let’s have some maturity. Seriously. No bad stuff. 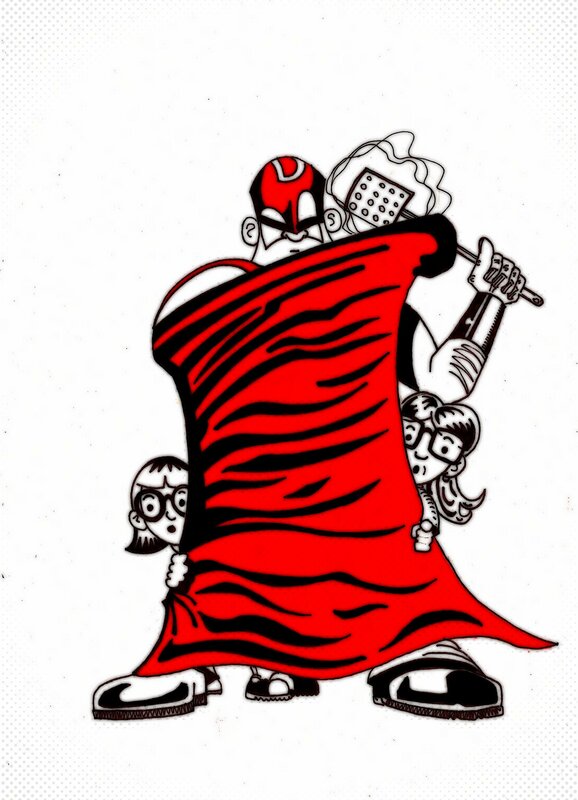 I’ll run the contest starting now until Wednesday, May 17th, 2012 at noon EST. Since I may know some of the people who are leaving comments, I am going to let my kids and wife decide so no one can blame me for being biased. The winner will have the satisfaction of knowing their name will forever be attached to my car (all manner of thanking, hyping, and promoting said winner via social media will be done). Also, as an added bonus, I will send the winner an original autographed drawing. While I may not be famous now, one day you’ll be able to sell that drawing on e-Bay for at least as much as a picture of a piece of toast with Jesus’ face burnt in to it. So please, help me out. Send me your best car names! You know the drill. Type in your email address and have your inbox be the lucky recipient of automatic updates from Founding a Father.